Elías Amor Bravo, Economist, July 2, 2018 — No one doubts that tourism is a top priority for the Cuban economy. Whether or not the communist authorities are managing it well is another matter. It is no surprise that President Díaz-Canel stresses “the priority of tourism for the country’s development given that it has become one of the main income generating activities in the island’s economy.” The issue, however, is not just about setting priorities but how to execute them and achieve results. As any Cuban peasant knows, it’s one thing to talk but action is something quite different. The distance between the two can be painfully large. In terms of absolute growth Díaz-Canel considers tourism in Cuba to be a success. In fact, as a Granma article notes, the so-called “government commission to stimulate and manage the tourism sector” can point to “impressive” growth since the 1990s under the direction of Manuel Marrero Cruz. Back when the country was in the depths of the “Special Period,” a high-level communist official recognized Cuba’s potential as a tourist destination. With little hard currency and facing insolvency, the regime began to accept — with a certain degree of resignation — the arrival of foreign tourists in the country. It was an activity that, after the triumph of the so-called “Revolution” in 1959, had been largely banned due to its association wth the bourgeoisie and the wealthy, who were considered enemies of the new Cuban regime. But, in fact, figures back up Díaz-Canel’s claims. The 18,000 rooms available to tourists in all of Cuba had grown to 67,000 by the end of 2016 according to figures from the National Office for Statistical Information. And that may not even include rooms rented out in private homes through social media sites and other online platforms that have begun springing across the island. The Castro regime did the math. To turn tourism into the locomotive of the Cuban economy, it had to produce hotel rooms. The reality, however, is that the determinist Marxist system, which has done so much damage to countries that embraced it, rarely produces the expected results. And Cuba proved to be no exception. Tourism is still not an engine, much less a locomotive, or anything resembling one. Díaz-Canel himself has recognized this. Developing the tourism industry requires taking all these factors into consideration. But there are many others that Díaz-Canel’s communist regime is not even mentioning. However, he has only to ask his advisers for a brief description of tourism successes in other parts of the world to recognize that “talk and actions are very far apart.” I also have the impression, an admittedly pessimistic one, that they are not willing to do the things it takes to be successful. Let’s look at them one by one. First, tourism is a private sector activity. Nowhere else in the world does the state own hotels unless there is some concrete reason (national patrimony, cultural significance, historic preservation) to justify it. And even in those cases there is no question that overall operation and management is best left to the private sector. As a private sector activity, the hospitality industry needs a legal system which respects private property rights and does not create obstacles — other than those related to legal and urban planning issues — to business development. Owners of tourism related businesses respond more quickly to the tastes of their consumers and are much more familiar with their needs. They can more easily direct financial resources to the needs of their businesses and, once those businesses are profitable, are more able to expand or increase their operational bases. If we look at examples from other countries, we see this is nothing new. Secondly, tourism requires training and expertise. Can anyone tell me in what university or trade school run by that “accomplishment of the revolution,” the Cuban educational system, can someone study gastronomy or learn how to be a professional chef? Where can someone learn how to be a waiter, maitre d’, sommelier, bartender, hotel receptionist, housekeeper… in short, any of the various jobs within the field of hospitality? Not only must training centers be created as soon as possible, foreign language instruction along with the full range of administration and facilities management must be promoted. Given the country’s backwardness in these areas, companies must be able to rely on funding for employee training. Third, tourism requires intelligent promotion. Cuba is competing with financially stable, high quality tourist destinations in an area of the world which attracts the most affluent segment of the tourism market. Its competitors have more experience and their promotional campaigns in target markets guarantee them a steady and growing stream of visitors, even when the economic climate becomes difficult, as happened in late 2008. 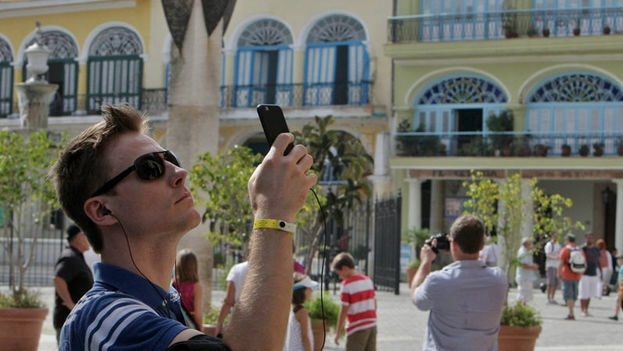 Tourism promotion in Cuba is controlled, directed and carried out by the state. It does meet its publicly defined objectives because basically it does not adequately support what Cuba has to offer, which are its competitive advantages. All consumer demand from overseas is channeled through package deals arranged by international tour operators. Tourists who want to travel freely to the island must deal with a shortage of information that prevents them from being able to experience the country on a modest budget. Fourth, as a result of the secular amnesia that began in 1959, Cuba has arrived late to global tourism. Its new importance stems from official statements about being the locomotive of national development, something that upon arrival the tourist does not perceive. I refer to the current state of the country’s abandoned infrastructure, roads, communications media and services in general. The tourist who wants to experience the reality of Cuba is confronted upon arrival with a backdrop of social devastation, creating feelings of anxiety that one does not associate with the idea of a pleasant vacation. The next year he does not come back. These are the kinds of things of which one should take note.